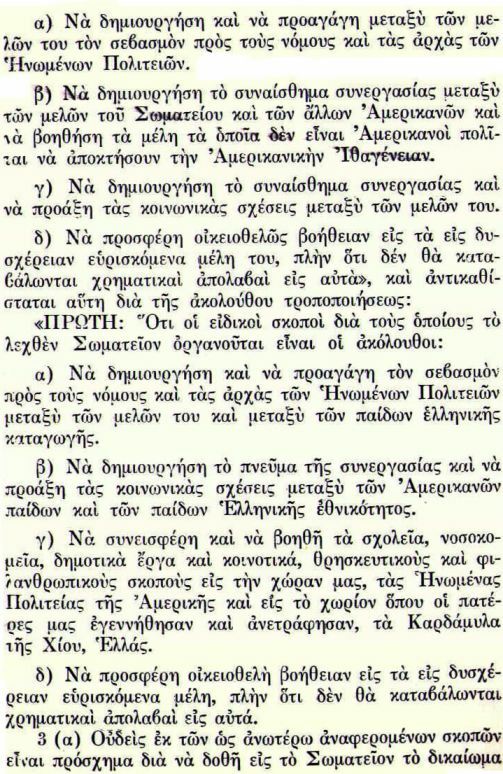 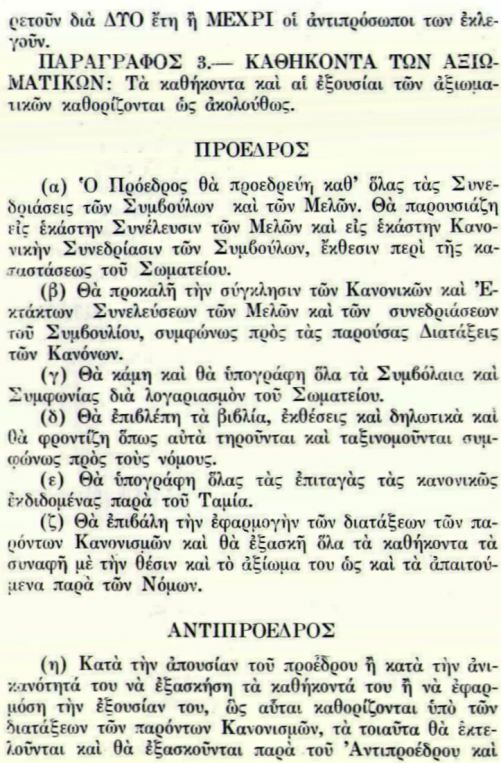 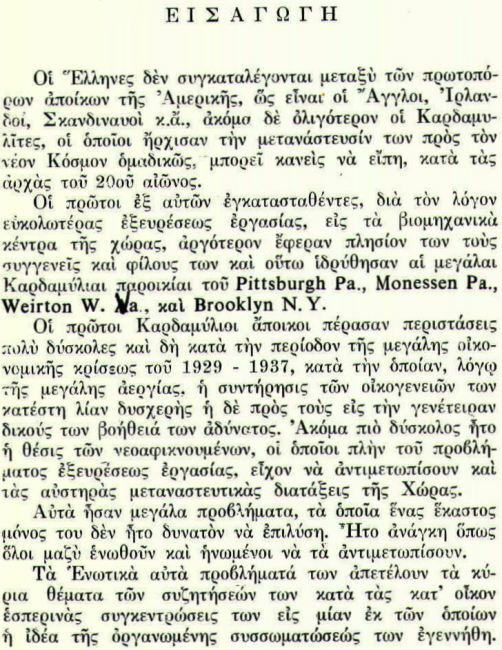 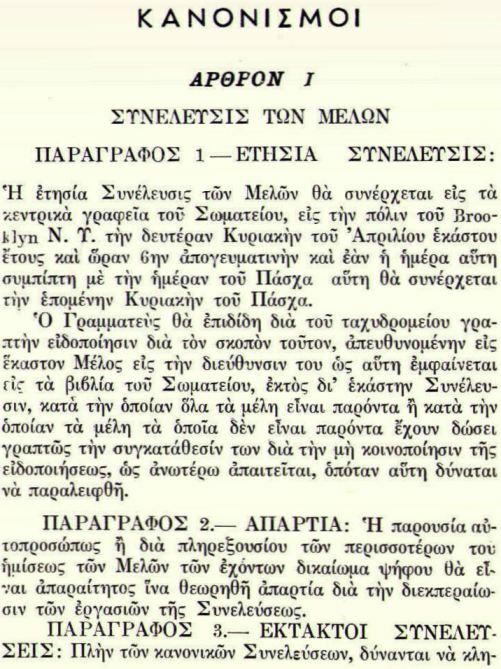 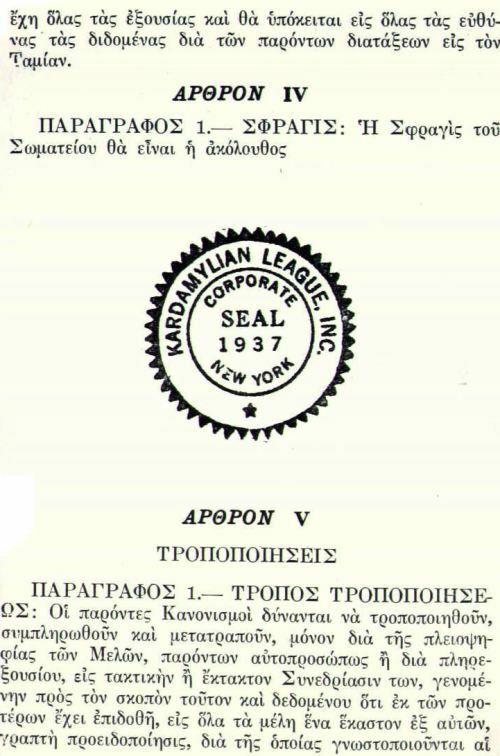 On March 22, 1937 the KARDAMYLIAN LEAGUE, INC. received its charter by the New York State as a non for profit organization based in Manhattan and governed by the Laws outlined by the State. 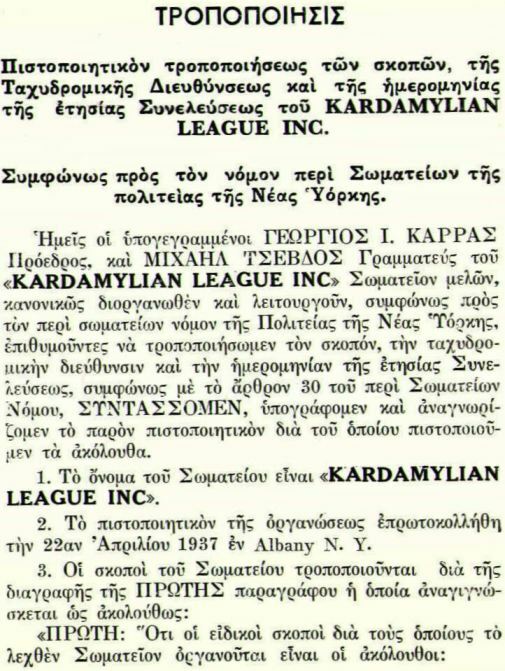 The KARDAMYLIAN LEAGUE, INC. is the first official Kardamylian organization established in the New York Metropolitan area. 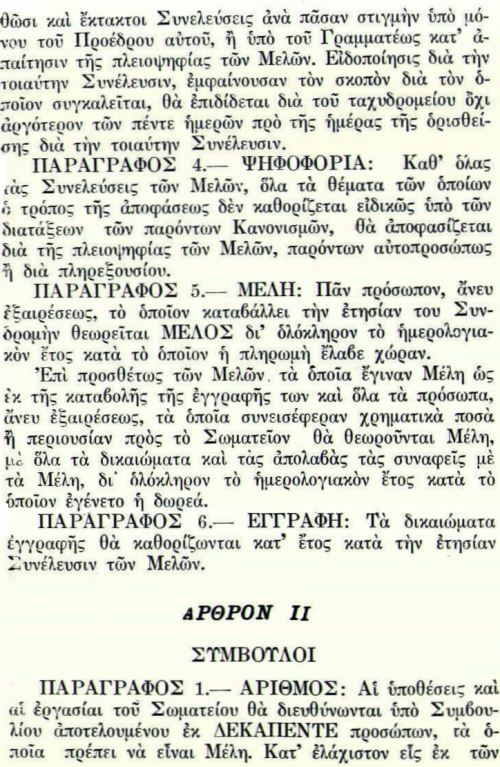 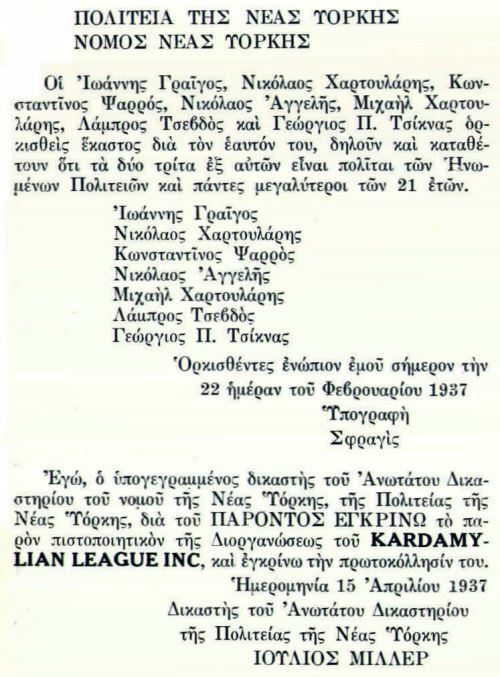 The founders of the predecessor unofficial organization "Alilovoithitiki Enosis Kardamylion PROODOS" were also the founders of the new organization. 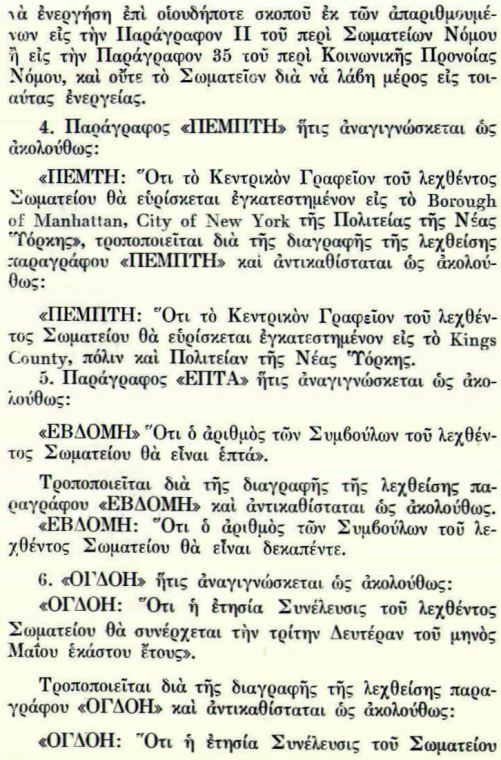 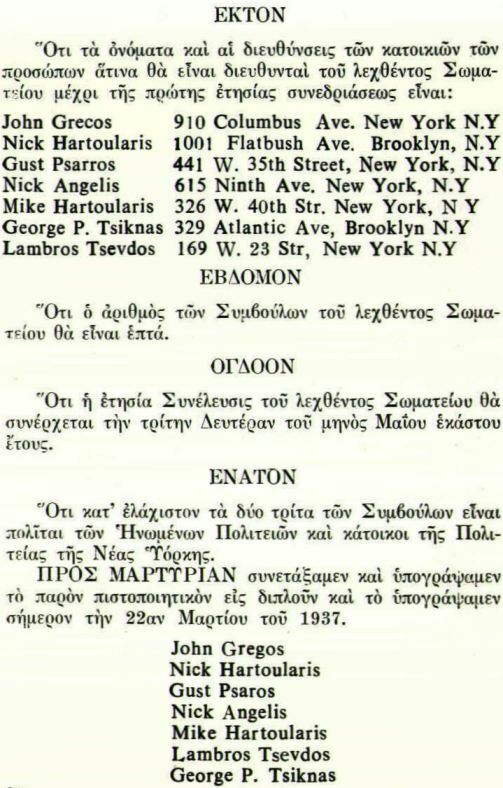 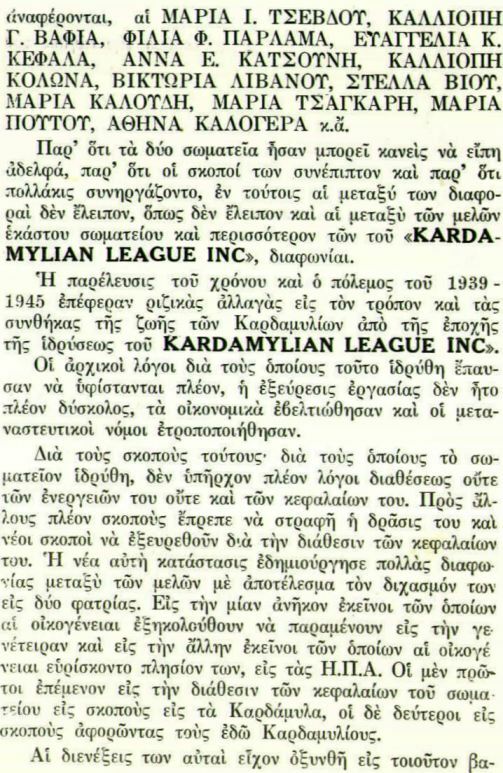 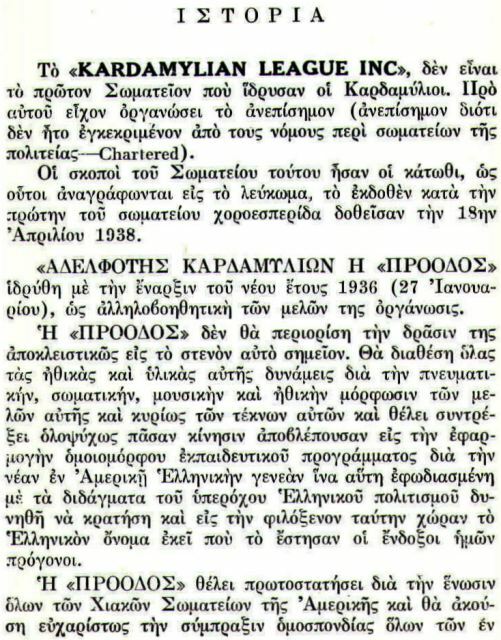 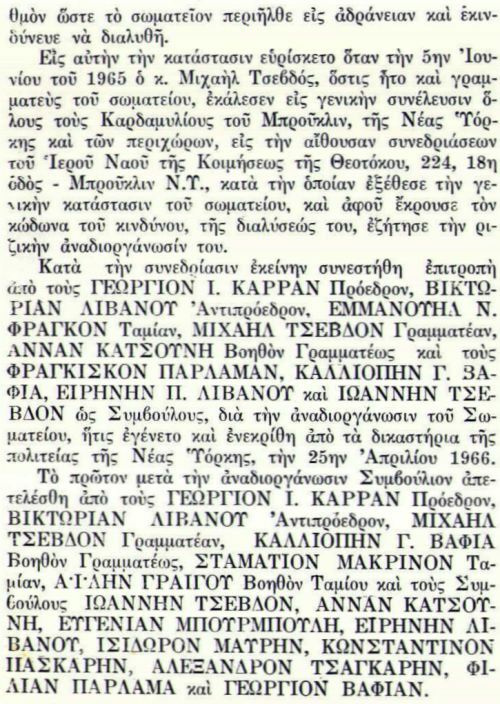 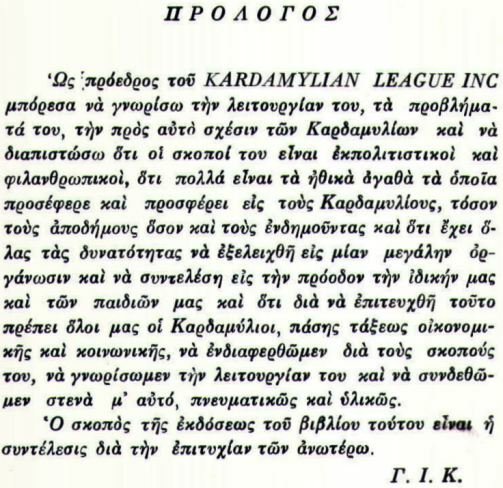 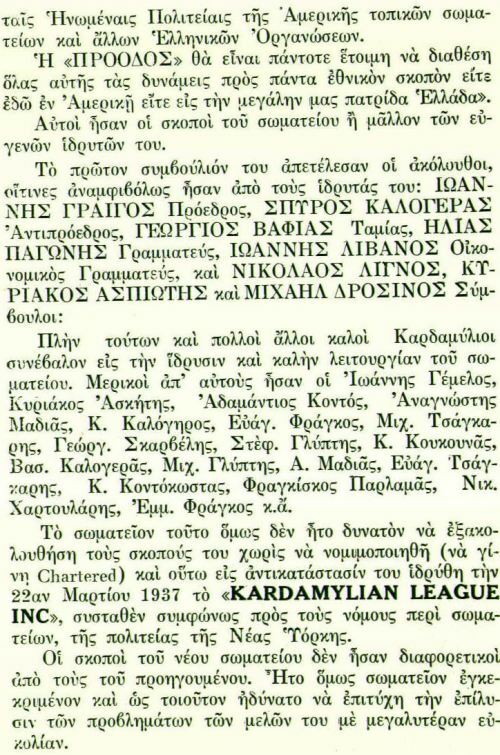 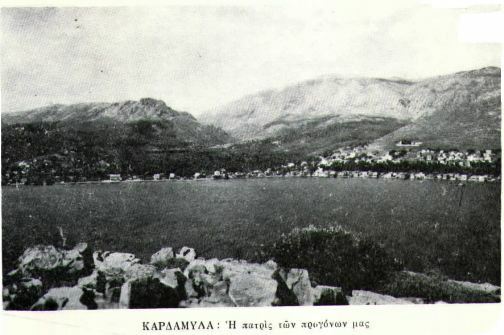 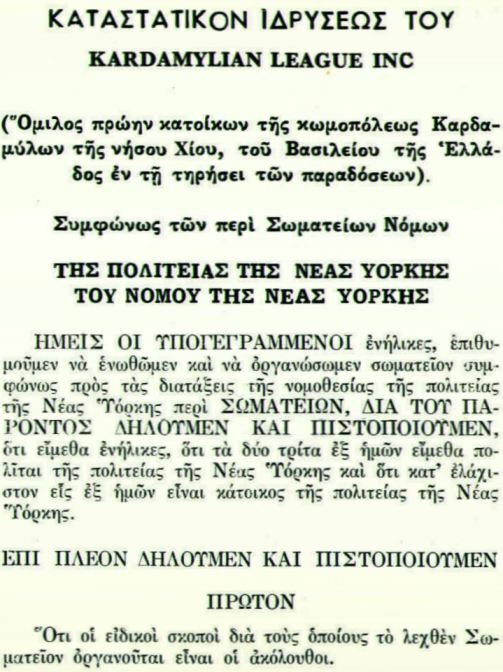 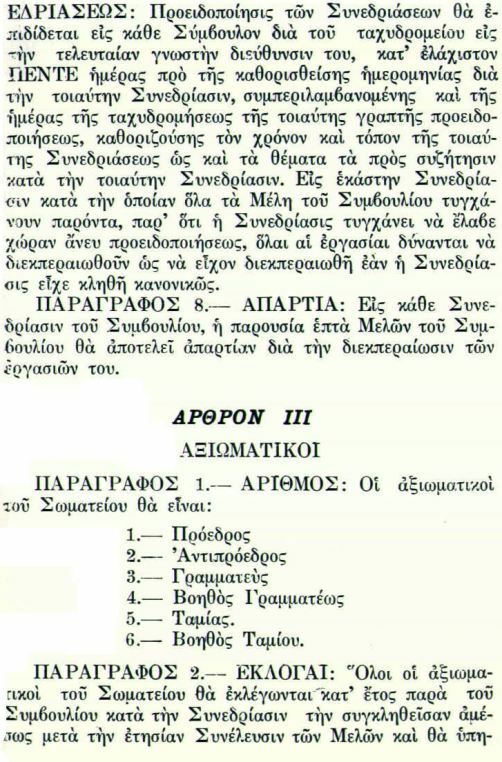 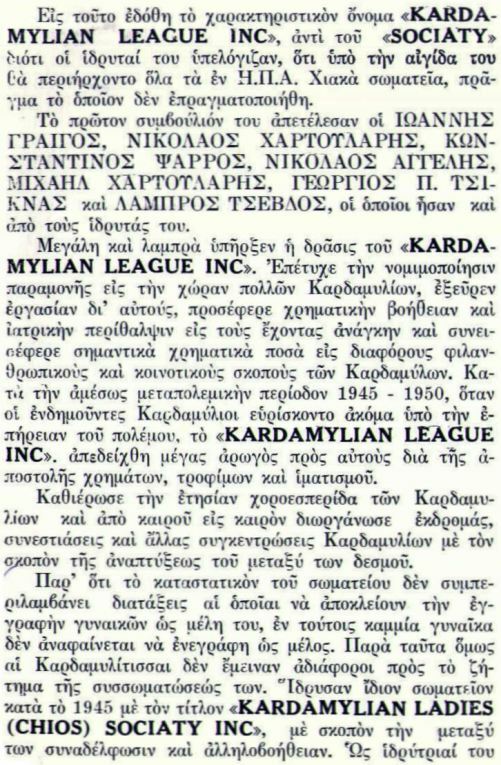 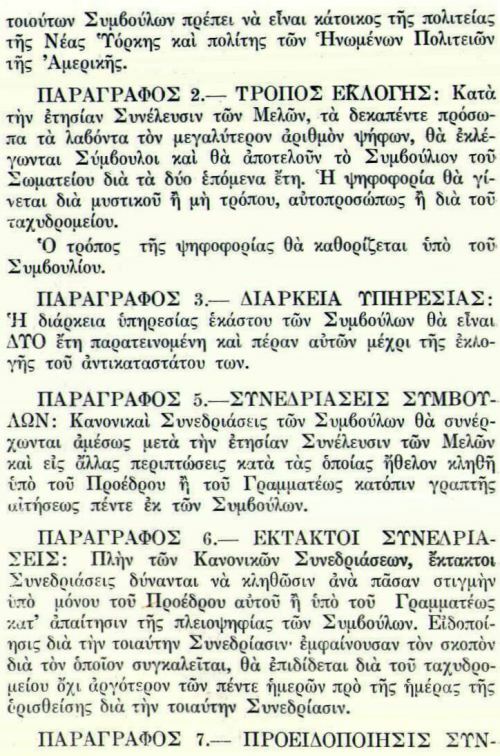 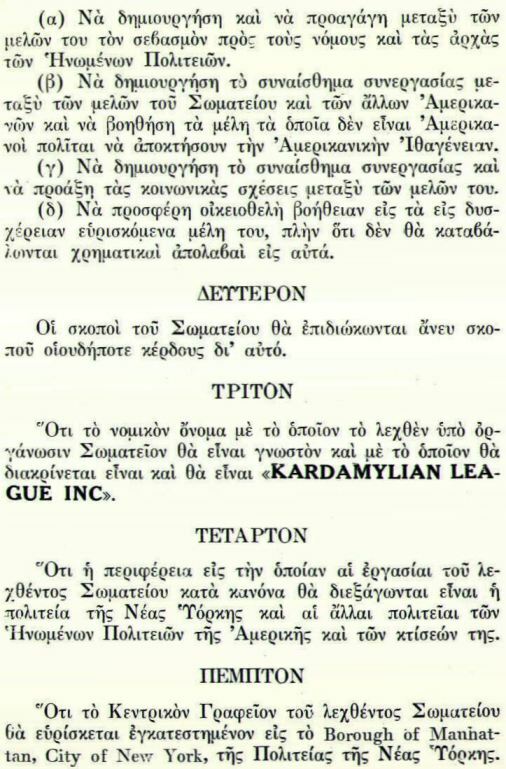 On April 25th, 1966, the KARDAMYLIAN LEAGUE INC., under the leadership of George I. Karras (President) and Michael Tsevdos (Secretary) was officially reorganized. 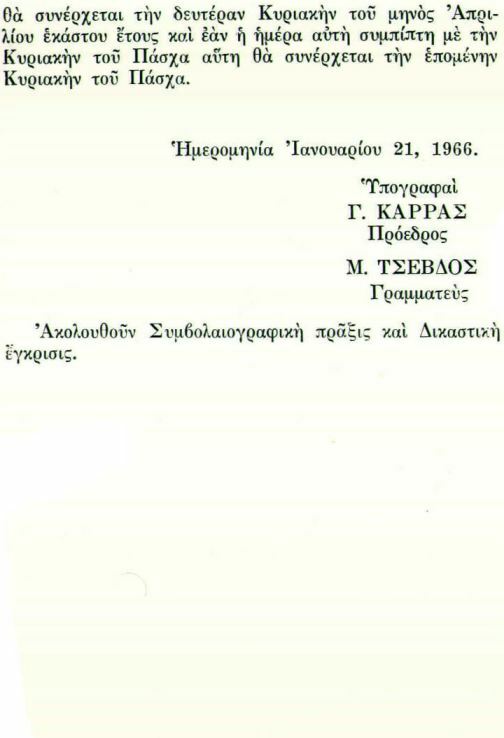 For this occasion a booklet was published containing the history of the organization and the revised Constitution and By-Laws. 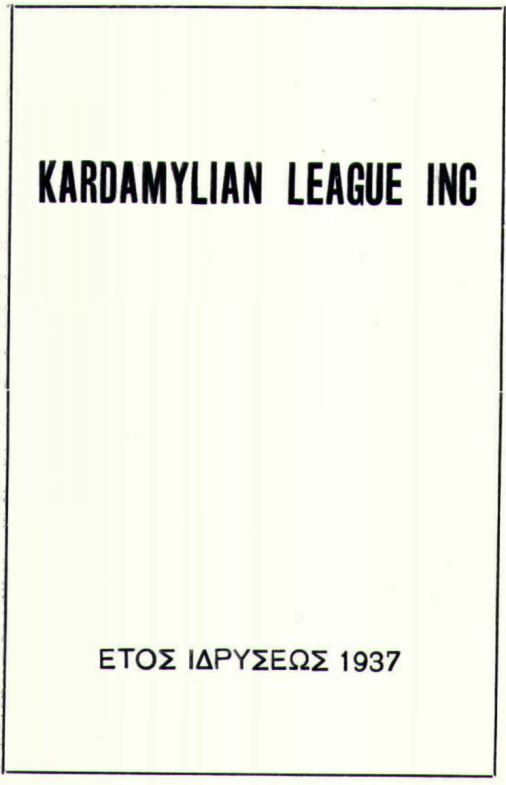 Following is the booklet in its entirety. 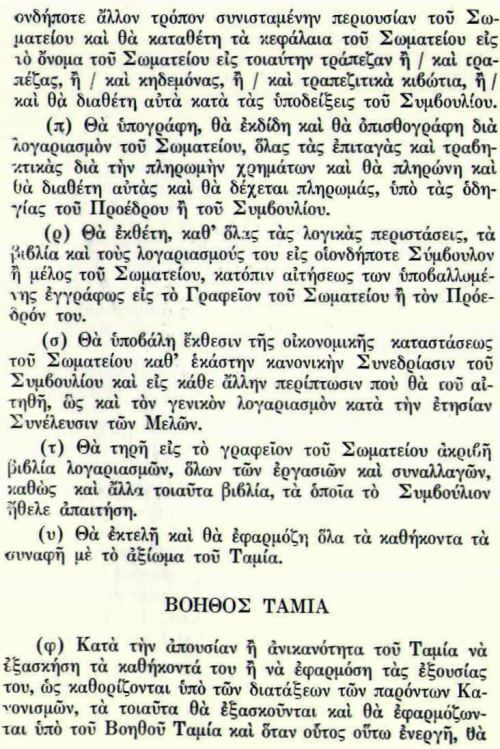 Eventually the English version of this important document will appear on the website as well.